My next intergenerational session which starts today is titled “Showers of fun”. Here are some of the songs we are currently sharing. 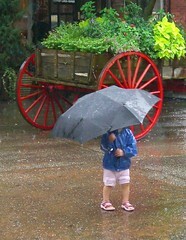 There are many other rain songs for children. Share your favorites in the comments below. Be watching for April Showers: Songs for Seniors late this week.